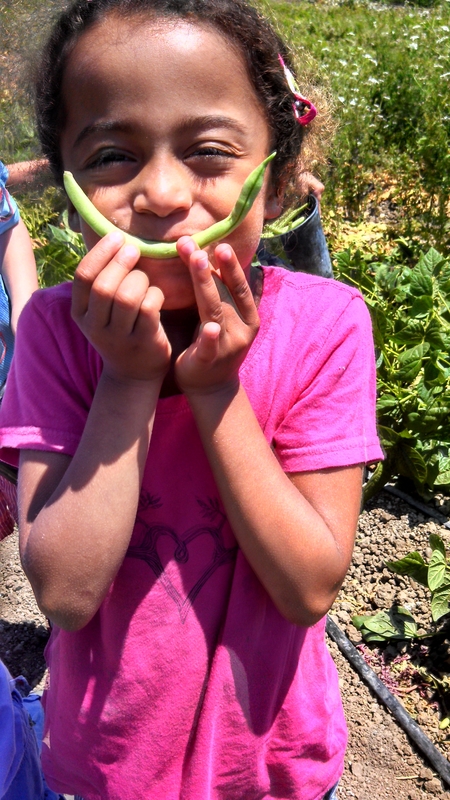 Join the Farm, a program of Abundant Table Farm Project currently leasing 3.65 acres at Hansen, held a weeklong youth farm camp this month. Erynn Smith, CSA Coordinator and Farm Educator for the program, describes their space as “a sustainable farm growing produce in ways healthy for earth, farmers, and our community”. For the past three years, Smith has hosted a farm camp. This is the first year the camp has operated at the Center. 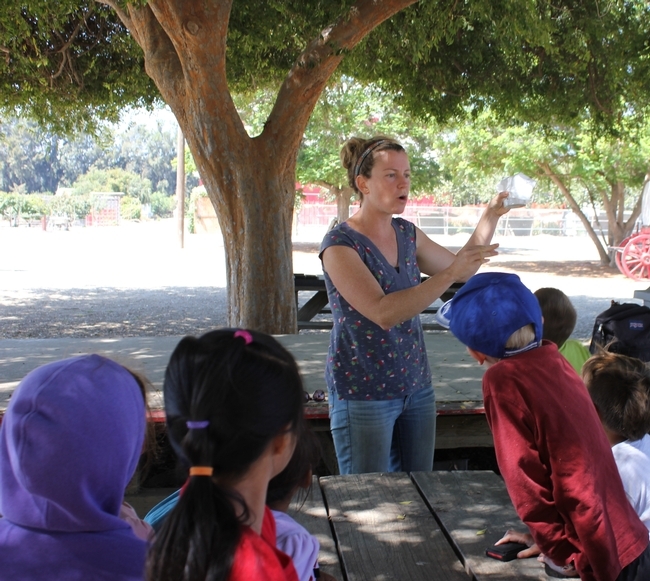 Thirty campers, ages 7-11, from Camarillo YMCA enjoyed daily themes and hands-on activities illustrating valuable agricultural concepts. Erynn introduced farm ecosystems, soil science, and composting, planted flowers to attract beneficial insects and identified insects considered to be pests. The children enjoyed meeting and interviewing other farmers and participated in healthy farm cooking making kale smoothies and beet brownies. 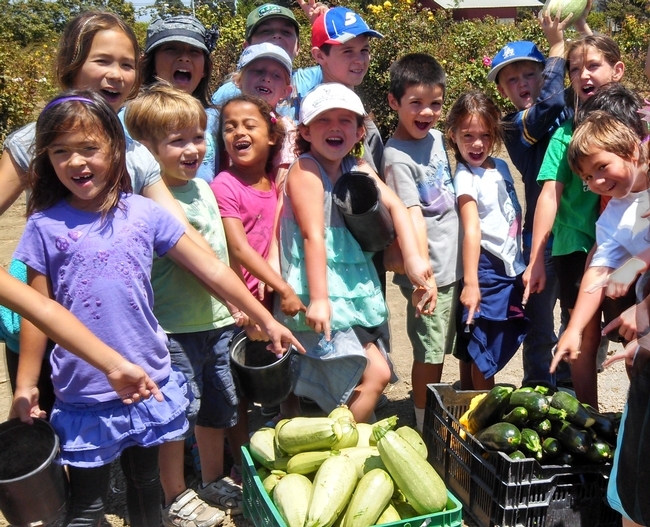 In assisting Join the Farm staff harvest and deliver over 200 pounds of fresh produce to Food Share—a local food bank, they learned the value giving back to the community. As a way to bring the farm to fork concept to life, Smith urged campers to be “ambassadors of health” at home, encouraging their families to eat fresh food harvested at camp. Agriculture in Ventura County is part of our culture and tradition but many youth (and adults) lack an appreciation for the science or hard work required to put food on our tables. With innovative and age appropriate lessons, Smith did a great job raising awareness of local and global food systems—as well as creating lifelong summer memories of fun on the farm.